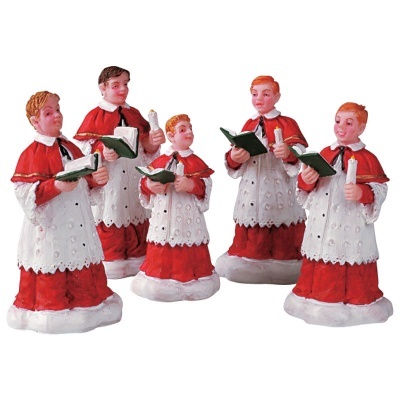 Lemax The Choir Figurines (Set of 5) depicts a festive young group of Choir boys singing Christmas Carols by candlelight. A Lemax Village miniature scene favourite since 2005 from the Lemax Santas Wonderland Themed range. The Choir set comprises of five individual hand painted polyresin figures to compliment your seasonal Lemax Village Christmas display.